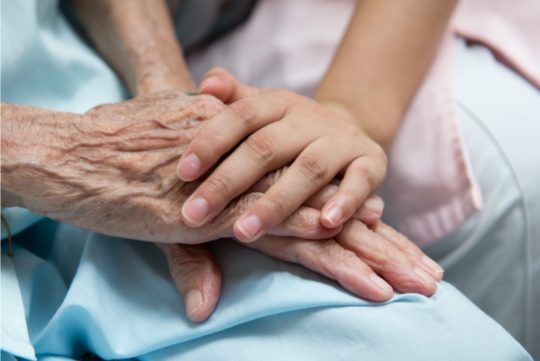 What is palliative care and hospice? Palliative care and hospice refer to services that are designed to give support, comfort, and quality of life in the final phase of a terminal illness. Both types of service, hospice and palliative, focus on making the most out of the time remaining for each patient so that they may live each day as fully as possible. Hospice provides both physical and emotional care, promoting comfort and offering individualized support to patients and their families. It also involves assisting with important decisions about managing end-of-life care. Palliative care is specialized medical care that focuses on relief from serious and terminal illness. This type of care is provided by medically-trained nurses and physicians. Palliative care commonly treats illnesses such as cancer, Alzheimer’s, Parkinson’s, and ALS, among others. What are the advantages of home hospice care? Hospice makes it possible for people to remain in the comfort of their own home, where most prefer to be over a hospital or convalescence facility, while still getting the specialized medical, physical, and emotional care and support they require. 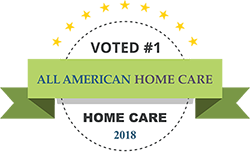 All American Hospice, the sister agency of All American Home Care, was founded in 2011 on the concept that every individual that receives end-of-life services deserves the best possible care. All American Hospice became one of the top hospice care providers in Pennsylvania in only a few short years, thanks to our compassionate and skilled caregivers and welcoming community. Both All American Home Care and All American Hospice ensure that care is extended to both patient and family. We treat our patients in the same way we would treat members of our own family, focusing on quality of life and making sure that each individual is able to live as fully and comfortably as possible with their remaining days. For questions regarding hospice and palliative care, please give us a call or send your inquiry via the contact form on our website. Palliative care is an active, comprehensive help to a patient suffering from a disease that cannot be cured. The main task of palliative care is to stop pain and other symptoms, as well as solve social, psychological and spiritual problems. - adequate anesthesia and relief of other severe symptoms of the disease; - psychological support of the patient and his relatives caring for him; - development of attitudes towards death as a regular stage in the life path of man; - the solution of socio-legal and ethical issues that arise in connection with a serious illness and the approach of death to a person. Palliative care can be provided in outpatient and inpatient settings by medical personnel trained to provide such assistance. Palliative care in outpatient settings is provided in the offices of palliative care and outpatient services created in medical organizations (including hospices). People can visit medical institutions, but more often doctors go home to patients (mainly for pain-relieving manipulations). The All American Home Health Care has increased its penalties for hospitals, home health agencies and other providers that have high rehospitalization rates. Palliative care is provided in the palliative care units, nursing care units of medical organizations, hospices and nursing homes (hospitals). The main indications for the hospitalization of patients in the department: a pronounced pain syndrome that is not amenable to treatment in outpatient settings, including at home; severe manifestations of diseases requiring symptomatic treatment under the supervision of a doctor in a hospital setting; the need for detoxification therapy; selection of a therapy scheme for continuing treatment at home; the need for medical interventions that cannot be performed on an outpatient basis, including at home (performing punctures, installing stents, draining, applying regional anesthesia techniques, etc.). The first level of the provision of the Palliative care is implemented in organizations that carry out medical activities in accordance with the procedure established by the legislation, medical workers who have the basic level of training in the Palliative care. The main method of providing Palliative care at this level is the palliative approach. The second level of the Palliative care delivery is realized in the organizations that carry out medical activities in the order established by medical workers who have completed postgraduate training in palliative medicine. The main method of providing Palliative care at this level is general palliative care. The third level of rendering of the Palliative care is realized in the specialized departments of organizations engaged in medical activities in accordance with the procedure established by the Centers, hospices by medical personnel having specialized postgraduate education. The main type of Palliative care at this level is specialized palliative care. specialized postgraduate education - is included in the programs of training specialists in the field of palliative medicine. Training programs for the training of personnel in palliative medicine are developed and approved in accordance with legislation and implemented in educational institutions and palliative care centers. The training programs use a multi-professional approach to training, including representatives of non-medical specialties. Scientific research is an integral part of the educational process. International cooperation in the field of education is welcomed.